As Afrobeat music has made it's way into the hearts of the UK/European fans - it has also made its way onto the UK iTunes chart. Last year D'Banj reached #7 and also #2 on the UK R&B charts with his single 'Oliver Twist' and now Choice FM have entered the Top 20 on the iTunes UK Charts! 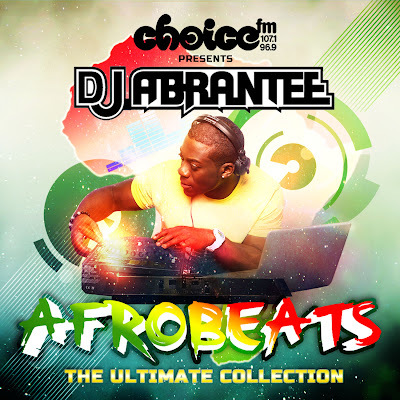 Teaming up with their very own, DJ Abrantee, Choice FM released an exciting new mixtape Afrobeats The Ultimate Collection featuring 30 of the biggest Afrobeat songs of the pst twelve months. Making it the very first Afrobeats album to hit the UK iTunes Chart! Peaking at #15 on the iTunes UK Charts - the likes of P-Square, Iyanya, Wande Coal, Wizkid, Davido and rapper Naeto C were all featured on the compilation mixtape hosted by DJ Abrantee. Whether you're a huge fan of Afrobeats music, a new listener of the genre or are simply looking for infectious dance music that will enthral and captivate you, this compilation has everything that you need! From the classic tunes that defined 2012 to the future hits for 2013, Afrobeats The Ultimate Collection has it all and for everyone too! This is definitely a good look for Afrobeat artists and DJ's all over! I look forward to seeing Afrobeats music on the UK iTunes charts more often!